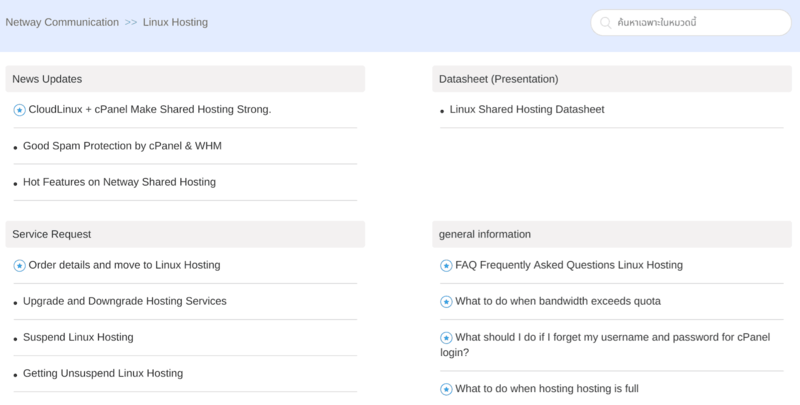 Siam InterHost Review 2019: Is Siam InterHost a Good Hosting? Siam InterHost provides a wide range of web hosting solutions and associated services to businesses in Thailand. This vendor has invested heavily in web hosting infrastructure, but it also offers additional services such as conceptual consultancy services, domain name registration, web design, web programming, and payment gateway services. Developed by Netway Communication Co. Ltd, Siam InterHost is a web hosting provider with a relatively small market share in Thailand. Even so, this vendor has invested heavily in hosting infrastructure so that they can host businesses of all sizes from SMEs to big corporations and government agencies. Their hosting solutions include shared web hosting, reseller hosting, and cloud hosting. Siam InterHost’s website contains an odd mixture of English and Thai text. The Siam InterHost hosting plans come with both cPanel and WHM control panels that offer advanced features including free installation, a complete server administration interface, free virus scanner, and free game servers. Siam InterHost’s servers are housed in powerful data centers located in Thailand and Texas. They have teamed up with other internet service providers to provide the highest performing cloud hosting solutions. What’s more, they have implemented daily and weekly backups to provide clients with data recovery following a data loss event. Siam InterHost markets itself as the “number one SSL certificate solutions provider in Thailand.” Their SSL solutions are customized to suit all business needs: the Domain Validation (DV) package is suitable for small businesses or personal websites whereas the Organization Validation (OV) and Extended Validation (EV) plans are best suited for big corporations. 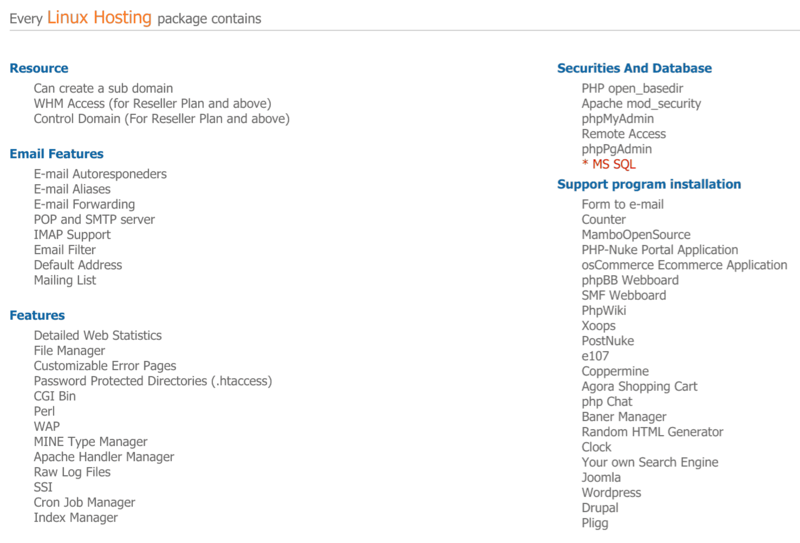 They also offer Wildcard SSL and LUC / SAN SSL. These SSL solutions are a big plus for clients who prefer a one-stop-shop for all their hosting needs. The Siam InterHost website is poorly organized and could be confusing to first-time users, especially since there is a mixture of English and Thai text. I also noticed that some of the service links lead to the parent company’s website, so it could be hard to deduce where one company ends and the other one begins. Siam InterHost’s hosting plans are pretty cheap considering that they all include a noteworthy number of unlimited features. What’s more, they provide free hosting services plus a 30-day money-back guarantee. Prices are listed in Thai baht, and they include a discount coupon for clients who commit to a contract of at least 6 months. Clients can contact Siam InterHost’s 24/7 technical support team via their Thai telephone number, email, live chat or support ticket. You can expect a response to support tickets within 12 hours. There is also a knowledge base packed with helpful tutorials and articles. While it is apparent that Siam InterHost has yet to secure a sizeable share of the Thai hosting market, there are clear indications that they are well on the way to increasing their customer base. Their heavy investments in hosting infrastructure and highly skilled personnel should guarantee their success. Wondering how Siam InterHost stacks up against other Web Hosting companies? Enter any other Web Hosting company and we will give you a side-by-side comparison.